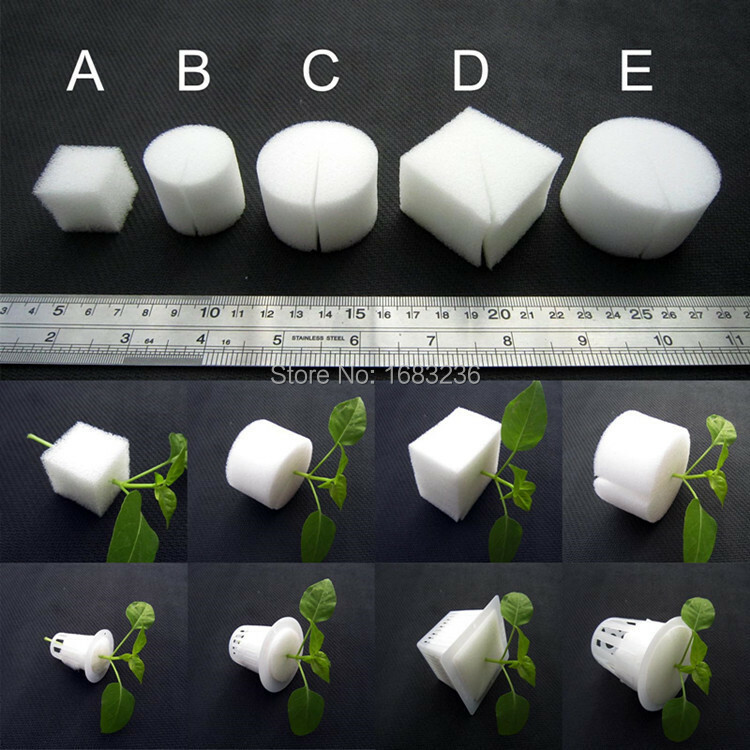 There are 25/100pcs brand new white hydroponic foam insert C (cloning collar/cube). 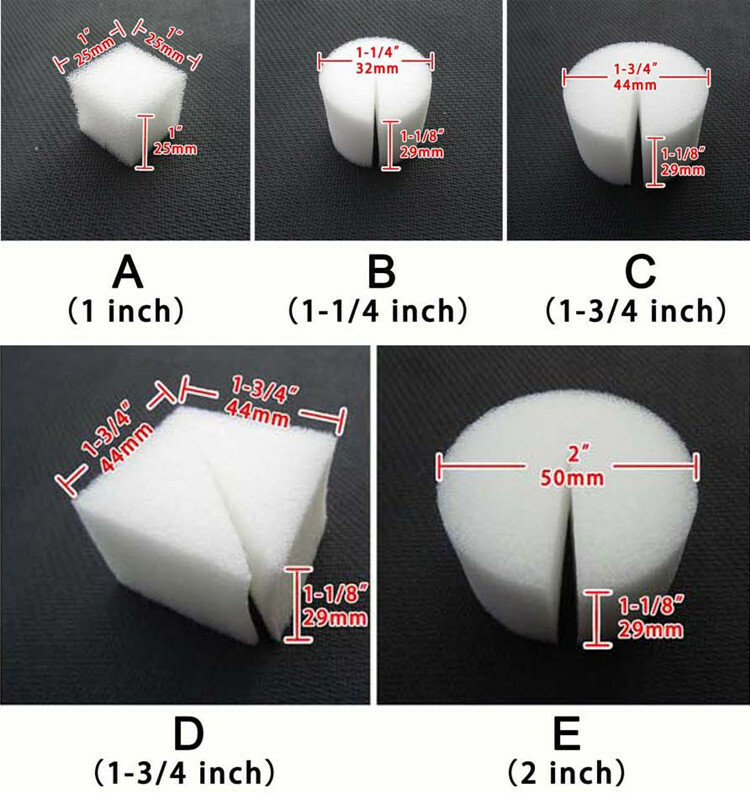 • 5 sizes inserts for various mesh net pots. the top leave to air and light. Please clean the foam inserts before use.